Diwali (also spelled Devali in certain regions) or Deepavali, popularly known as the “festival of lights,” is a five day festival which starts on Dhanteras, celebrated on thirteenth lunar day of Krishna paksha (dark fortnight) of the Hindu calendar month Ashwin and ends on Bhaubeej, celebrated on second lunar day of Shukla paksha (bright fortnight) of the Hindu calendar month Kartik. In the Gregorian calendar, Diwali falls between mid-October and mid-November. Diwali is an official holiday in India, Nepal, Sri Lanka, Myanmar, Mauritius, Guyana, Trinidad & Tobago, Suriname, Malaysia, Singapore and Fiji. For Hindus, Diwali is one of the most important festivals of the year and is celebrated in families by performing traditional activities together in their homes. For Jains, Diwali marks the attainment of moksha or nirvana by Mahavira in 527 BCE. Arya Samajists, celebrate this day as Death Anniversary of Swami Dayanand Saraswati. They also celebrate this day as Shardiya Nav-Shasyeshti. 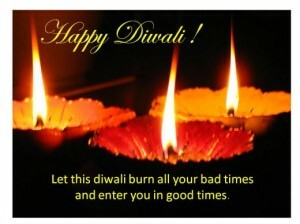 The name “Diwali” or “Divali” is a contraction of “Deepavali” (Sanskrit: दीपावली Dīpāvalī), which translates into “row of lamps”. Diwali involves the lighting of small clay lamps (dīpa in Sanskrit: दीप) filled with oil to signify the triumph of good over evil. These lamps are kept on during the night and one’s house is cleaned, both done in order to make the goddess Lakshmi feel welcome. Firecrackers are burst because it is believed that it drives away evil spirits. During Diwali, all the celebrants wear new clothes and share sweets and snacks with family members and friends. While Diwali is popularly known as the “festival of lights”, the most significant spiritual meaning is “the awareness of the inner light”. Central to Hindu philosophy is the assertion that there is something beyond the physical body and mind which is pure, infinite, and eternal, called the Atman. 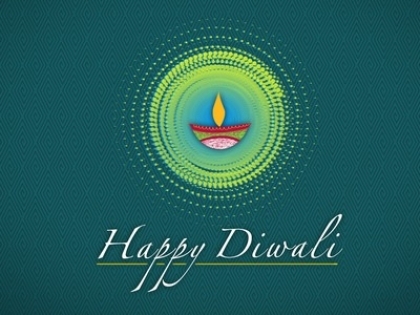 The celebration of Diwali as the “victory of good over evil”, refers to the light of higher knowledge dispelling all ignorance, the ignorance that masks one’s true nature, not as the body, but as the unchanging, infinite, immanent and transcendent reality. With this awakening comes compassion and the awareness of the oneness of all things (higher knowledge). This brings anand (joy or peace). Just as we celebrate the birth of our physical being, Diwali is the celebration of this Inner Light. Diwali is celebrated in various parts of the world, particularly those with large populations of Hindu and Sikh origin. These include countries such as Sri Lanka, Myanmar, Thailand, Malaysia, Singapore, Indonesia, Australia, New Zealand, Fiji, Mauritius, Kenya, Tanzania, South Africa, Guyana, Surinam, Trinidad and Tobago,( Zimbabwe) the Netherlands, Canada, the United Kingdom, and the United States. With more and more Indians now migrating to various parts of the world, the number of countries where Diwali / Deepavali is celebrated has been gradually increasing. While in some countries it is celebrated mainly by Indian expatriates, in others it has become part of the general local culture. In most of these countries Diwali is celebrated on the same lines as described in this article with some minor variations. Some important variations are worth mentioning. In Nepal, Diwali is known as “Tihar” or “Swanti”. It is celebrated during the October/November period. Here the festival is celebrated for five days and the traditions vary from those followed in India. On the first day (Kaag tihar), crows are given offerings, considering them to be divine messengers. On the second day (Kukur tihar), dogs are given food for their honesty. On the third day, Laxmi puja is performed. This is the last day according to Nepal Sambat, so many of the businessmen clear their accounts on this day and on finishing it, worship goddess Laxmi, the goddess of wealth. The fourth day is celebrated as new year. Cultural processions and other celebrations are observed in this day. The Newars celebrate it as “Maha Puja”, a special ritual in which the body is worshipped to keep it fit and healthy for the year ahead on this day. On the fifth and final day called “Bhai Tika”, brothers and sisters meet and exchange gifts. In Nepal, family gathering is more significant during Diwali. People in the community play “Deusi and Bhailo” which is a kind of singing and dancing forming a group. People go to all the houses in the community and play songs and dance, and give blessings to the visited house, whereas the home owner gives gifts like rice, Roti, fruits and money. After the festival, people donate some part of the collected money and food to the charity or welfare groups and with the rest of the money and food, they go for a picnic. People also play swing called Dore Ping made out of thick ropes and Pirke Ping or Rangate Ping made out of wood. In Sri Lanka, this festival is also called “Deepavali” and is celebrated by the Tamil community. On this day, it is traditional for people to take an oil bath in the morning, wear new clothes, exchange gifts, performing Poosai(Pūjā), and a visit to the Koil(Hindu Temple) is normal. Burning of firecrackers in the evening of the festival is a common practice of this festival. Hindus light oil lamps to invite the blessings of Lakshmi, the goddess of wealth and to banish any evil from the household for once and for all. The festival is marked by illumination, making of toys of enamel and making of figures out of crystal sugar popularly known as Misiri. Sri Lanka’s celebration include many of the traditional aspects of Deepavali such as games, fireworks, singing and dancing, however the tradition of a large meal and fireworks are admirably preserved. In Malaysia, Diwali festival is celebrated during the seventh month of the Hindu solar calendar. It is a federal public holiday throughout Malaysia. In many respects it resembles the traditions followed in the Indian subcontinent. ‘Open houses’ are held where Hindu Malaysians (Of all ethnic races like Tamils, Telugus and Malayalees) welcome fellow Malaysians of different races and religions to their house for a scrumptious meal. This is a practice unique to Malaysia and shows the goodwill and friendly ties practiced by all Malaysians during any festive occasion. In Singapore, Diwali festival is a gazetted public holiday. Observed primarily by the minority Indian community (Tamils), it is typically marked by a light-up in the Little India district, the heart of the Indian community. Apart from the light-up, other activities such as bazaars, exhibitions, parades and concerts will also take place in Little India. The Hindu Endowment Board of Singapore along with Singapores’ government organizes many of these cultural events during this festive period. In Trinidad and Tobago, communities all over the islands get together and celebrate the festival. One major celebration that stands out is the Diwali Nagar, or Village of the Festival of Lights. It features stage performances by the east Indian cultural practitioners, a folk theatre featuring skits and plays, an exhibition on some aspect of Hinduism, displays by various Hindu religious sects and social organizations, nightly worship of Lakshmi, lighting of deeyas, performances by various schools related to Indian culture, and a food court with Indian and non-Indian vegetarian delicacies. 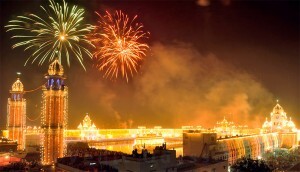 The festival culminates with magnificent fireworks displays ushering in Diwali. 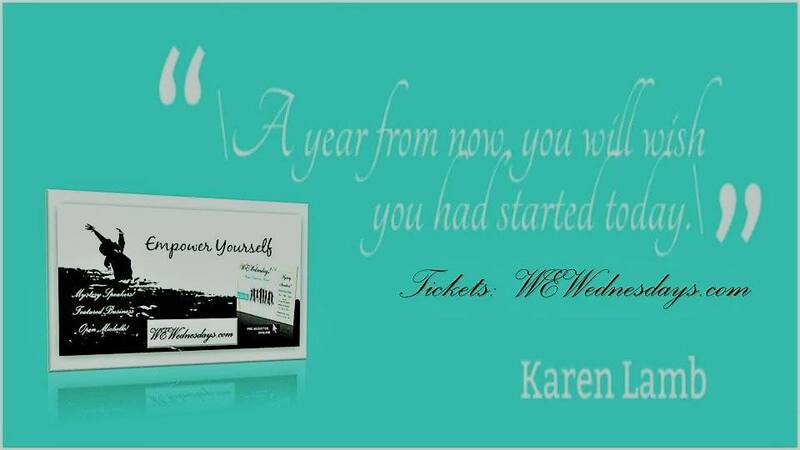 Thousands of people participate in an atmosphere devoid of alcohol and in a true family environment. In Britain, Hindus celebrate Diwali with great enthusiasm. People clean and decorate their homes with lamps and candles. A popular type of candle is a diya. People also give each other sweets such as laddoo and barfi, and the different communities may gather for a religious ceremony and get-together. It is also an important time to contact family in India and perhaps exchange gifts. Diwali is becoming well known in Britain and some non-Indians join in. Leicester plays hosts to some of the biggest celebrations outside of India. Diwali also coincides with British Bonfire Night traditions on November the 5th. In the East End of London, a kind of joint festival has evolved where everyone enjoys the same fire and fireworks for their own diverse reasons. In Fiji, Diwali is a Public Holiday and is a religious event celebrated together by Hindus (who constitute close to a third of Fiji’s population), and culturally among members of Fiji’s various races and is a time in the year that is greatly looked forward to. Originally celebrated by imported indentured laborers from the Indian Subcontinent during British Rule in the then Colony of Fiji during the 19th Century, it was set as a holiday at independence in 1970 as the government wished to set aside one religious public holiday each for Fiji’s three largest religions i.e, Christianity, Hinduism and Islam. Diwali in Fiji is often remarked by people from India as being observed on a larger scale then Diwali celebrations in India, as fireworks and Diwali related events begin at least a week before the actual day. Another unique feature is the cultural celebration of Diwali (aside from its traditionally religious celebration) where Fijians of Indian origin or Indo-Fijians, whether Hindu, Christian, Sikh or even Muslim along with the other cultural groups in Fiji celebrate Diwali as a time for sharing with friends and family as well as signalling the beginning of the Holiday season in Fiji. On the commercial side, Diwali is a time for many retail sales and giveaways. Diwali celebrations in Fiji have taken on a flair of its own, markedly different from celebrations on the Subcontinent. Diwali marks a time for cleaning and buying new and special clothes for the celebrations amongst various cultural groups along with dressing up in Sari’s and other Indian clothing, to work the day before. Homes are cleaned and Oil lamps or diya are lit. Decorations are made around the home with an array of coloured lights, candles and paper lanterns, as well as the use of religious symbols formed out of colored rice and chalk. Invitations are made to family, friends and neighbors and houses are opened. Gifts are made and prayers or pooja are made by Hindus. 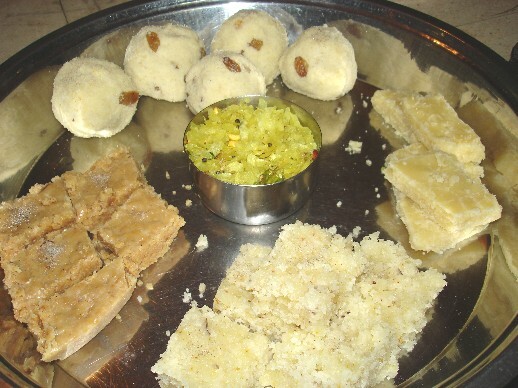 Sweets and vegetable dishes are often eaten during this time and fireworks are fired for days before and after Diwali. In the United States, with increasing Indian population, Diwali is assuming significant importance year after year. Diwali was first celebrated in the White House in 2003 and was given official status by the United States Congress in 2007. 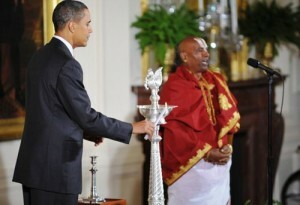 Barack Obama became the first president to personally attend Diwali at the White House in 2009. On the eve of his first visit to India as the President of United States, Obama released an official statement sharing best wishes with “Hindus” for Diwali. Indians in the US celebrate Diwali in different parts of the US, just as in India. The Diwali Mela in Cowboys Stadium boasted an attendance of 100,000 people in 2009. In 2009, San Antonio became the first U.S. city to sponsor an official Diwali celebration including a fireworks display and 5000 people in attendance. In 2011, The Pierre in New York City, now operated by Tata Group’s Taj Hotels, hosted its first Diwali celebration. 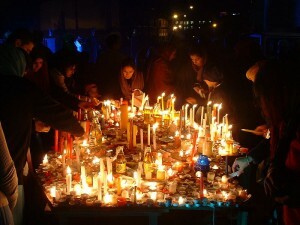 In Australia, Diwali is celebrated publicly among the people of Indian origin and the local Australians in Melbourne. On 21 July 2002 an organization “The Australian Indian Innovations Incorporated” (AIII) consisting of a conglomerate of independent organisations and individuals was formed to celebrate Indian Festivals in Melbourne. AIII facilitated opportunities to depict the cultural kaleidoscope of India and assist Indians in Melbourne to showcase Indian art, culture, style, traditions and food via various activities, seminars, festivals, fairs and events. The first “Inaugural Diwali Festival-2002”, was held at Sandown Race Course on Sunday 13 October 2002. 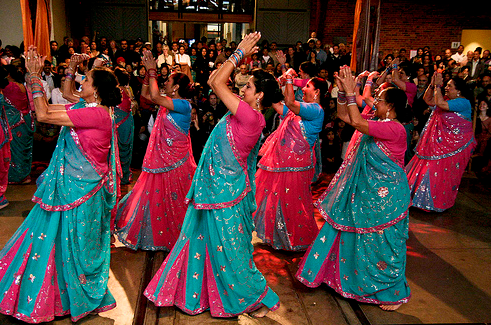 Since then until October 2008, about 140000 people visited this Australian Indian Cultural Extravaganza filled with culture, fun and cuisine. This 10 Hour Festival is depicting India through 50 Stalls, 10 Food stalls and an 8 hour cultural program with DJ, Children’s rides and spectacular fire works over the last 7 years. Other place where Diwali is celebrated in Melbourne is Sri Shiva Vishnu Temple, Carrum Downs. Food stalls are present and children fun rides. Later on in the evening a spectacular fireworks show is displayed. In New Zealand, Diwali is celebrated publicly among many of the South Asian diaspora cultural groups. 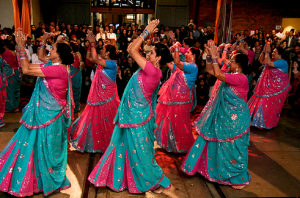 A large group that celebrates Diwali in New Zealand are members of the Indo-Fijian communities who have migrated and settled there.There are main public festivals in Auckland and Wellington, with other events around the country becoming more popular and visible. An official reception has been held at the New Zealand Parliament since 2003. Diwali is celebrated by Hindus. The festival signifies the triumph of light over darkness, justice over injustice, good over evil and intelligence over ignorance. Lakshmi Mata is worshipped at this festival. Lakshmi Mata is the goddess of light, wealth and beauty. Barfi, Barfi, sometimes burfi or burfee or borfee( Hindi: बर्फ़ी, Urdu: برفی, Bengali: বরফি ), is a sweet confectionary from the Indian subcontinent. Plain barfi is made from condensed milk, cooked with sugar until it solidifies. The many varieties of barfi include besan barfi (made with gram flour), kaaju barfi (made with cashews), and pista barfi (made with ground pistachios). The name is derived from the Persian word barf which means “snow”, since barfi is similar to ice/snow in appearance, this is why it is served cold. Barfi is often flavored with fruit (such as mango or coconut) or nuts (such as cashew and pistachio) and spices such as cardamom or rose water. They are sometimes coated with a thin layer of edible metallic leaf known as vark. They are typically cut into square, diamond, or round shapes. Different types of barfi vary greatly in their color and texture. Prasad, Prasād (Sanskrit: प्रसाद, Bengali: প্রসাদ, Marathi: प्रसाद, Hindi: प्रसाद, Urdu: پرشاد/, Kannada: prasāda ಪ್ರಸಾದ, Gujarati: પૃસાદ, Oriya: ଭୋଗ, Tamil: பிரசாதம் and Malayalam: പ്രസാദം prasādam, Punjabi: ਪ੍ਰਸਾਦਿ, Telugu: Telugu: ప్రసాదం prasadam, Bhojpuri: persādi) is a material substance that is first offered to a deity in Hinduism and then consumed. Literally, a gracious gift. Anything, usually an edible food, that is first offered to a deity, saint, Perfect Master or an Avatar and then distributed in His or Her name to their followers or others as a good sign. The prasad is then considered to have the deity’s blessing residing within it. In contemporary Hindu religious practice in India, the desire to get prasada and have darshan are the two major motivations of pilgrimage and temple visits. We celebrate Diwali with all of the women of our world, blessings to all ! Usually, I don’t learn article on blogs, however I would like to say that this write-up forced me to take a second look! Your writing has surprised me.